Situated on 220 acres of a working ranch, surrounded by National Forest. Two cabins (sleeping 4-8) offers views of passing wildlife (deer, fox, bear, moose, elk), near creek. A Permaculture Farmstead in Hamilton offering two newly-built and well-appointed vacation homes, educational farm tours/activities, and on-site farm stand and gift shop. Old world beauty, privacy, Bitterroot Mountain views, great wedding venue. The main Stonetower Estate house can sleep up to 13 guests and the Stone Barn up to 8. 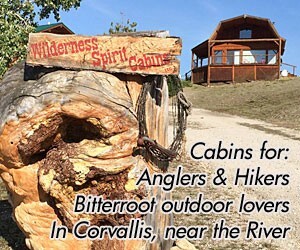 Great vacation home located on the banks of the Bitterroot River.Fully furnished 5 bed, 3 bath home can sleep 8-10 comfortably. 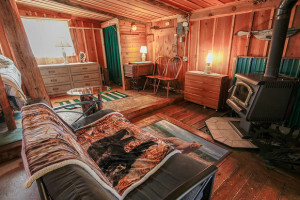 This is your new custom log cabin - top reviewed home in the Bitterroot Valley. Vacation home perfect for groups enjoying all Western Montana has to offer. 4 Bedrooms, great views, creeks and ponds on property ideal for fishing.